Here is another installment in my “Over the Moon About” blog series, which highlights a few different things that have caught my eye. 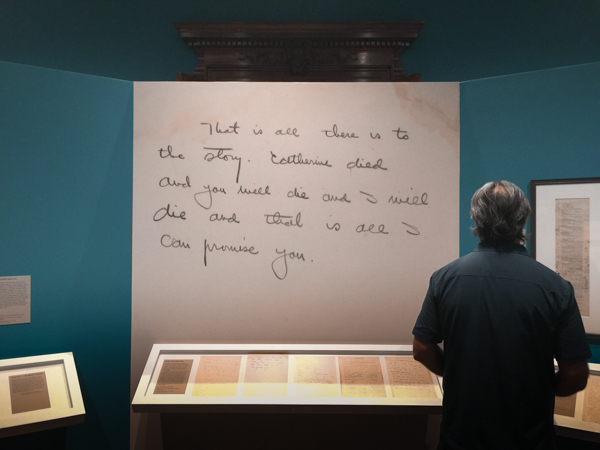 I hope you walk away with some new ideas about an exhibit to attend, books to read, or a glimpse into things you can be grateful for…. I have a renewed interest in author Ernest Hemingway lately. It feels like a Hemingway marathon in our home. 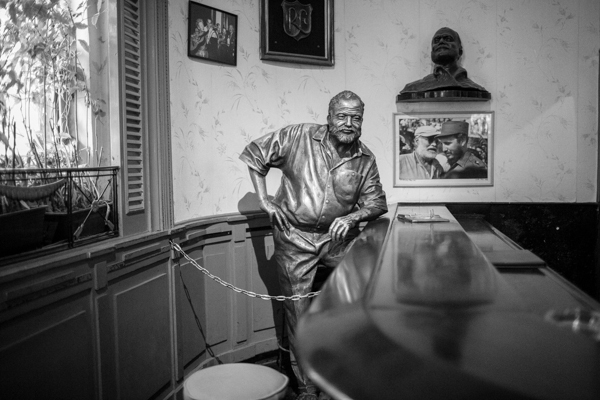 It may have started when we traveled to Cuba in March and visited the El Floridita, the iconic bar in Havana where Hemingway socialized with friends, writers and celebrities. 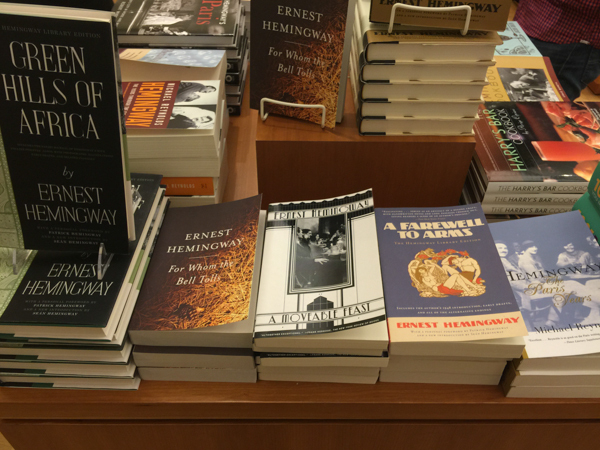 Everyone was talking about the Hemingway years spent in Havana. Then my friend Kylie gave me a list of books she had read several times about the women in Ernest’s life — I thought I would start with the women — Hemingway’s Girl by Erika Robuck; Mrs. Hemingway by Naomi Wood; The Paris Wife by Paula McLain, my favorite about Ernest’s first wife Hadley Richardson. And then tackled a book I read back in school, The Old Man and the Sea. And let’s not forget the movie I just finished AGAIN, Hemingway and Gellhorn starring Nicole Kidman and Clive Owen. I’m pleasantly exhausted. 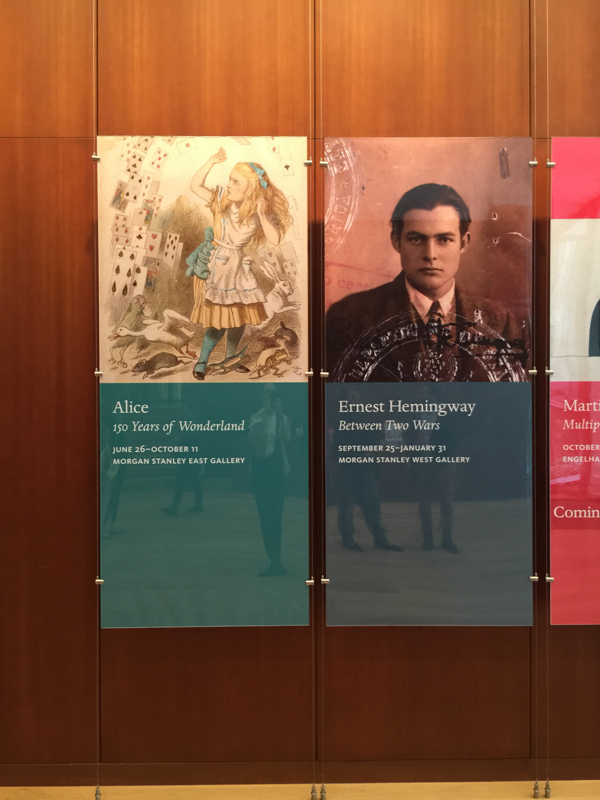 So imagine my shock when I ran into the Ernest Hemingway exhibit at the Morgan Library in New York City the other day. Yes, right there with so many artifacts and several letters to his fourth wife Mary Welsh and friends J.D. Salinger and F. Scott Fitzgerald. They say he was a pack rat and I agree. 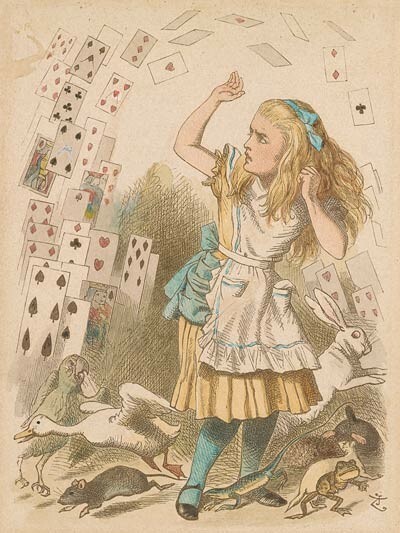 If you find yourself in the New York City area, stop by the Morgan Library before January 31, 2016. 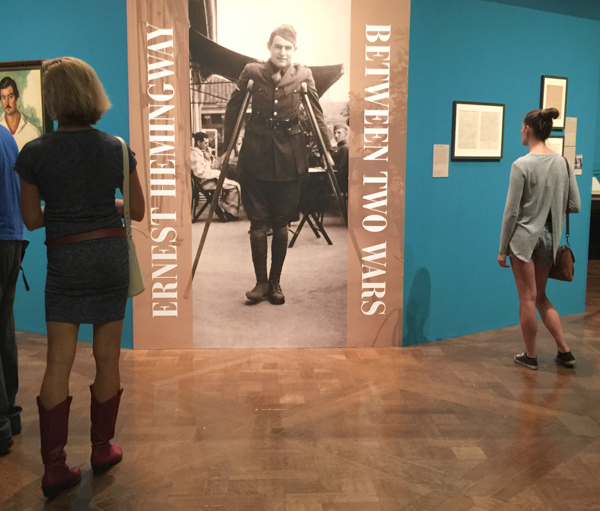 “The exhibition explores the most consistently creative phase of Hemingway’s career and includes inscribed copies of his books, a rarely-seen 1929 oil portrait, photographs, and personal items.” Otherwise the exhibit moves to Boston in March 2016. I took this photograph in March at the El Floridita, the iconic bar in Havana where Hemingway socialized with friends, writers and celebrities. 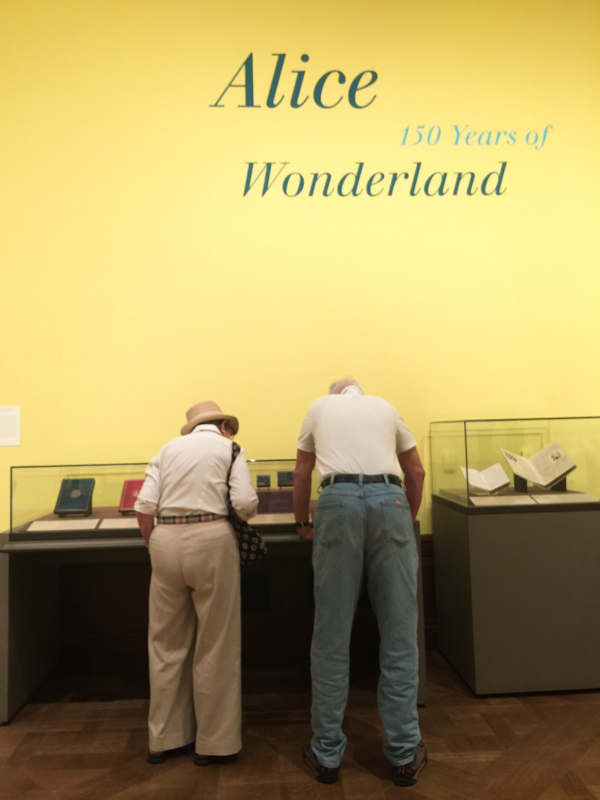 Right after viewing the Ernest Hemingway exhibit I ventured into the 150 years of Wonderland just across the hallway. 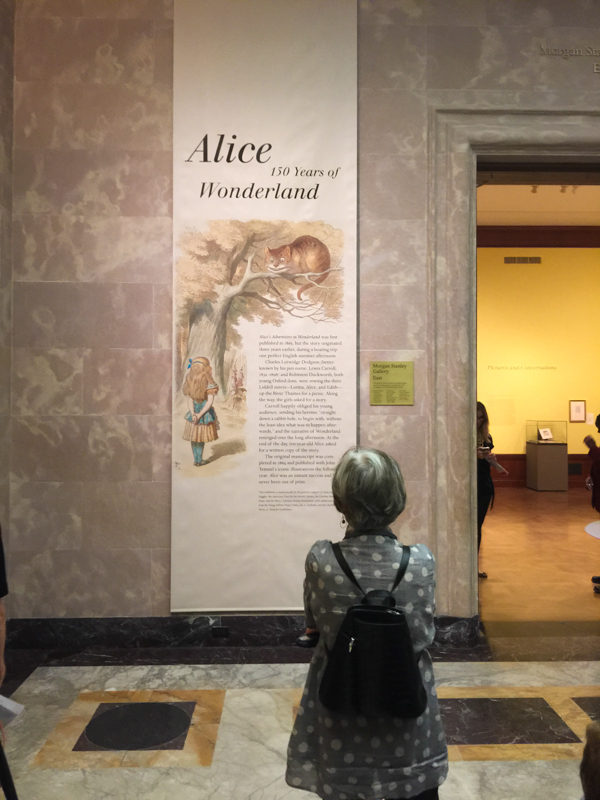 I didn’t want to miss this exhibit about all things Alice in Wonderland, author Lewis Carroll, the mad tea party and the cheshire cat. 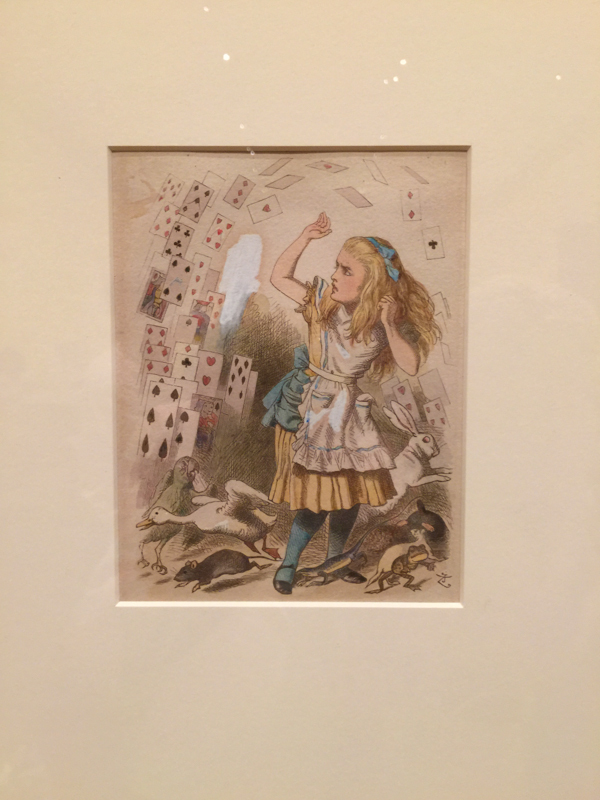 This was actually the reason why I visited the Morgan Library last week. 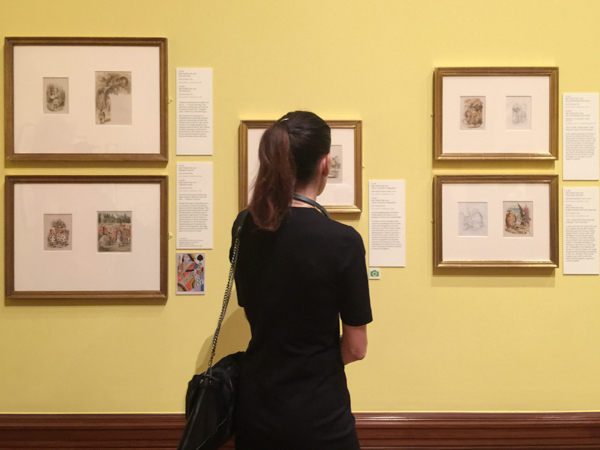 You can explore this special exhibition via this app for your phone, right here. The exhibit runs only through October 12 in NYC so you might not catch it. I have let the world know that during the Fall I will have an online store selling my photographs. I made the announcement on Facebook with a teaser photograph that you see below, it’s my stake in the ground and a big YES — I love being a photographer in addition to being a PR pro. I couldn’t have accomplished this without the support and love from my family (my husband, Steve!) and friends. I have been lucky to receive a big loving nudge from so many. Monday was that day to announce my launch. Thank you. PS… the link to the store will be shared with you shortly. 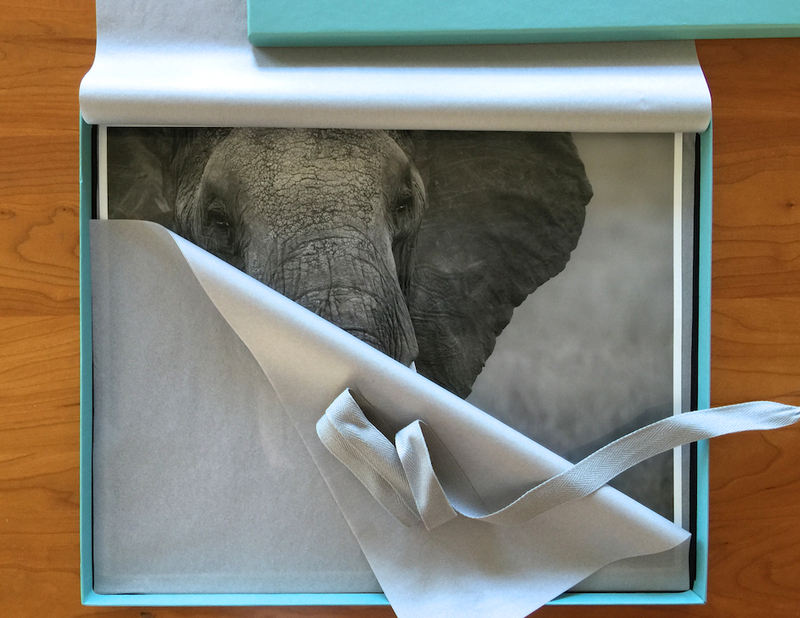 And yes, my online photography store will be live shortly.